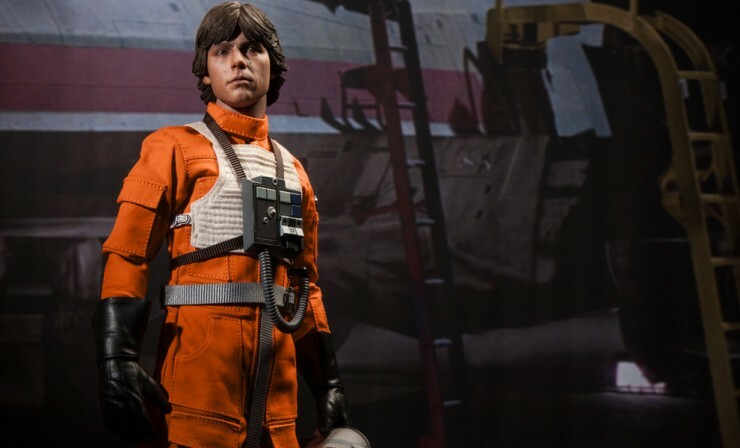 Sideshow Collectibles continues their line of 1/6 Scale Star Wars figures with a new Luke Skywalker in X-Wing pilot gear! So hurry and order your exclusive edition of this figure now at Sideshow Collectibles! And while at Sideshow's site check out their Spooktacular Halloween event with savings on tons of collectibles, many with discounted prices and free shipping, and many with extra rewards as well! From the high end Darth Maul Legendary Scale figure to the Snowtrooper Premium Format figure down to a bunch of sixth scale figures including 4-LOM and several clones, these deals are only good until Oct 31! Plus bargains on other Hot Toys, Marvel items, G.I. Joe figures and more!